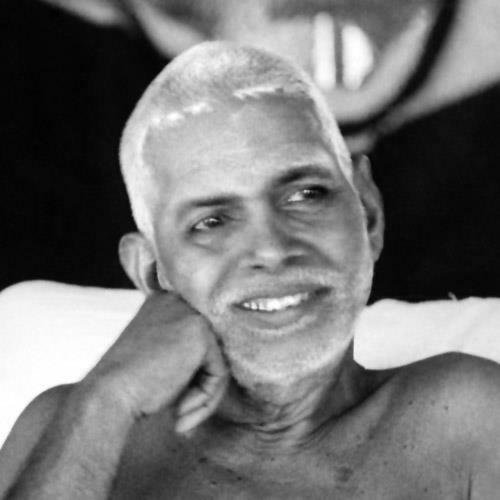 Bhagavan emphasizes the nature of the Heart and experience of the Heart a number of times in his teaching . Bhagavan says that the Mind is a power that arises from the Heart and this results in a feeling of being separate from the whole. When by investigation, the wise person examines the mind and traces its source via the clue of the sense of “I” back to the Heart, the mind gets resolved and Self is seen as the Heart. In some cases Bhagavan’s teaching seems to be expressed as “by monks for monks” emphasizing total withdrawal from the world. Mercedes de Acosta is an interesting contrast. She was an outwardly controversial lesbian and I think (astrologically) a tantric meaning one who’s innate spiritual style is to find God in the natural flow of life rather than through withdrawal. Here are some verses from Yoga Vasishta given to Mercedes de Acosta by Ramana Maharshi (from Here Lies the Heart). The verses selected by Bhagavan are perfect for her, he was really tuned into her, he knew what a “pure life” was for her. Note the emphasis on acting “playfully in the world” rather than the often heard expressions that the world is simply an illusion and doesn’t really exist. Beautiful and insightful sharing Roger. Thank you. Most humans go through life believing every bit of nonsense their minds spit out…and as you can see, some go insane. Now Ramana puts the mind in its place – he says it is only a bundle of thoughts. No, you don’thave to believe your thoughts…you can activate Spirit and allow it to dominate your mind. The mind is transient, unreal, Self is real and immortal. It is also pure existence-awareness and bliss. Thanks for another great post, Harsh!!! Hridaya, self and other names. Are they not what the west calls the soul. Lady Dr. had major stroke, woke up with no memory or mind, but still had a sense of me. Like most who have awoken they explain their experience in terms of what they know. Religions and cults form around them as people believe they are divine and take their utterances as truth. Hridaya or the soul is only the thing by which all things are known. If you weren’t a rocket scientist before you awoke you won’t be after. As a doctor the lady in question explains awakening in medical terms. For me awakening is simply a return to the child state, the state of awe and wonder, before the hard shell of the faux persona forms. Bad news maybe for some but good news for those that have the experience and manage to keep silence Did not Maharshi say silence is the best teacher. Ramana’s comments about religion are totally on the mark for me. God is within… not without. Thanks you for this beautiful, life-affirming post! Thank you, for this beautiful life-affirming post!